By capturing emotion with his camera, Woo explores the relations between people, their connections and passions. Reconsidering the paradox between reality and fiction, he puts the norms of beauty in the first place. He is finding his inspiration in Jackson Pollock, Willem de Kooning and Andy Warhol’s work, considering them the artists who moved the limits of their time. Using the photography as optical fact, the medium which shows the reality of the moment, he complements it with painting, trying to transfer out his inner emotions. Although Woo’s work involves the new technologies, his artwork is not purely digital and not entirely relying on Photoshop. He is feeling the connection to his models and expressing emotions is not possible to do just with a computer program. Koh Sang Woo graduated with School of Art Institute of Chicago in 2001, he double-majored in Photography and Performance Art. Working in both mediums at the same time allowed him to explore the relation between captured moment and movement. He thinks that photography is lacked by emotion and that its combination with performance is the only way that right message gets to the audience. 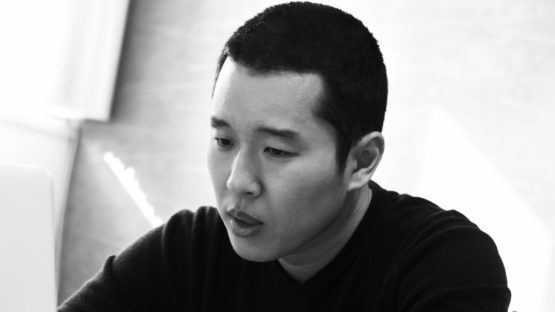 Koh Sang Woo has exhibited widely worldwide and was listed in 2013 as one the 100 most important Korean contemporary artists. He has participated in various international fairs such as Armory Show, Armory Photography, Pulse Miami, Scope New York, Art Chicago, ACAF NY, CIGE Art Fair. Koh’s works are held in various collections worldwide. 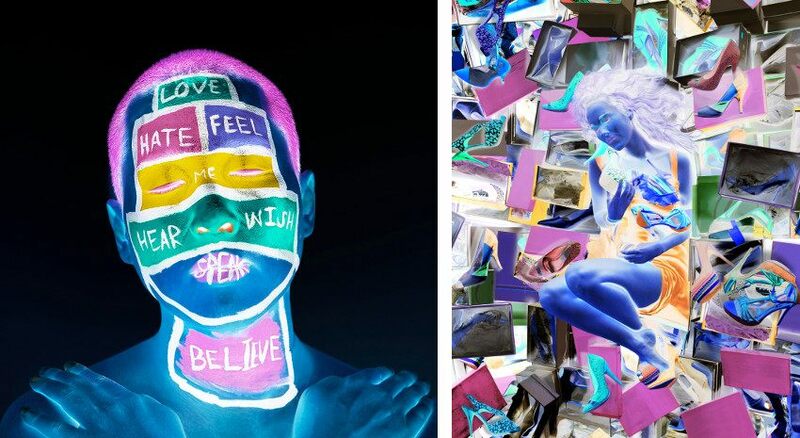 Always thinking outside the box and challenging his own creativity in using new mediums, Koh Sang Woo creates vivid images of human figure enriched with the idealized version of pure love. Using the visual languages, he reconsiders the social issues of differences, like cultural, racial and sexual. His creativity is too engaged and dynamic to be able to classify his work in any one specific genre. The colors in Woo’s work are mysterious and lyrical with strong emotional expression. The stunning contrasts of blue, yellow and orange displace these scenes on some higher level of consciousness. Intimate and public at the same time, depicting environment of a fantasy, Woo’s translate his own mood and passion into every piece of his work. Koh Sang Woo is represented by The Cat Street Gallery. Koh Sang Woo lives and works in New York.